There has been increased attention to the importance of teachers and teacher quality in developing and sustaining successful education systems for some time now (Barber and Mourshed in How the world’s best performing school systems come out on top, McKinsey & Company, New York, 2007; Darling-Hammond et al. in Empowered educators: how high-performing systems shape teaching quality around the world, Jossey Bass, San Francisco, 2017). Germaine to the issue of teacher quality, however, is an acknowledgement of the value of supporting educator’s ongoing professional learning (PL). Drawing on findings from a large-scale case study of Ontario, Canada, this paper attempts to shed light on the question of how systems of PL can be developed and scaled? The research was conducted in several phases, including an extensive document analysis, followed by interviews with key respondents across the sector. The paper is framed within the notion of large-scale system change, with a focus on the importance of inter-professional relationships and joint work in establishing shared goals for educational improvement. As we noted in the larger study, a theory of action linked to knowledge of educational change and professional capacity building has informed the mindset, values, and strategies developed and implemented. This paper specifically illustrates Ontario’s whole-system’s focus on professional learning as part of this wider theory of action. Developing comprehensive systems for high-quality teacher professional learning (PL) has increasingly become a focus of educational policy. Indeed, some of the most educationally successful countries in the world have robust opportunities for teacher learning (Darling-Hammond et al. 2017; Jensen et al. 2012). While there is much consensus around the significance of PL to the development of systems that enable and support twenty-first century learning (Campbell et al. 2017a), there is less consensus around how to create conditions that support high-quality systems of PL. Consistent with tensions in the conceptualization of whether educational change at scale should be top-down (government-led), bottom-up (teacher-led), or a combination of both; tensions around teachers as agents or teachers as subjects have long plagued debates over who should be in control of teachers’ PL (Osmond-Johnson 2018). According to Timperley et al. (2008) approaches to PL need to view teachers, “as self-regulating professionals who, if given sufficient time and resources, are able to construct their own learning experiences and develop a more effective reality for their students through their collective expertise” (p. xxv). A recent pan-Canadian study of teacher PL found that the appropriate balance of system-directed and self-directed PL is both complex and contested (Campbell et al. 2017a). Calls have been made to Flip the System (Evers and Kneyber 2016) and build the Professional Capital of the teaching profession (Hargreaves and Fullan 2012), drawing further attention to the need for a more nuanced approach to teacher PL where teacher voice and choice are valued, with support and leadership embedded across schools, school divisions, and school systems. This sort of tri-level coherence has been identified as a key component in building the collective capacity of the whole system to support improved student success (Fullan 2010; Fullan and Quinn 2015). 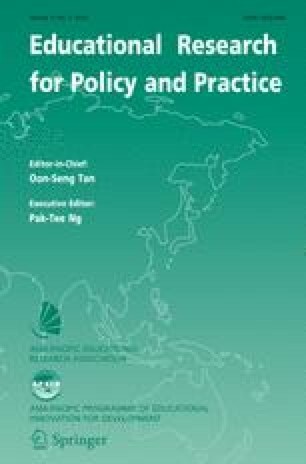 This paper adds to this international debate by highlighting the Canadian Province of Ontario’s approach to PL as a central feature of large-scale educational change strategies. Widely recognized as being among the world’s top performing systems, both in terms of academic achievement and equity (Hargreaves and Shirley 2012; OECD 2010a; Campbell et al. 2017b), “Ontario’s approach did not start with a technical mandate around ‘teacher quality’, rather a theory of action linked to knowledge of educational change and professional capacity building has informed the mindset, values, and strategies developed and implemented” (Campbell et al. 2017c, p. 197-98). In the sections that follow, we extend the findings we report in the Ontario case of our book, Empowered Educators in Canada (Campbell et al. 2017c), with specific attention to the question of how systems of professional learning can be developed and scaled across whole systems? Across the globe, educational systems are looking to each other to identify practices to support educational improvement (Barber and Mourshed 2007; Darling-Hammond et al. 2017; Hargreaves and Shirley 2009, 2012). Fullan (2010) has developed the concept of “whole system” educational change to include reform efforts across an entire education system including attention to the appropriate roles of—and coherence among and between—schools, school districts, and the overarching national/state/provincial education system (Fullan and Quinn 2015). Strong attention to implementation processes to deliver the strategies and improvements in practices and outcomes. The realization of whole system reform is, however, contentious. In particular, there are concerns about how whole system reform is developed and implemented. The tendency for whole system reform over the past decade to be primarily experienced as “top-down” reforms from and by government requires attention to how to appropriately value and engage professionals throughout the education system (Hargreaves and Shirley 2009, 2012; Fullan 2010; Harris 2010). This requires a central focus on supporting the PL of teachers to support the learning of students. Ontario is Canada’s most populous province with over 13.5 million people (38.5% of the total population of Canada). The province is also highly diverse, with almost 40% of Canada’s immigrants settling in Ontario (Grenier 2017). Relatedly, Ontario’s student population is large and diverse. Over two million students attend Ontario’s publicly funded school system, comprising about 95% of school-age children (Pervin and Campbell 2011). In 2016 there were: 124,135 full time equivalent (FTE) teachers (82,134 elementary and 42,001 secondary), 7351 administrators (principals and vice-principals; 5362 elementary and 1990 secondary), and 9020 early childhood educators in Ontario (Ontario Ministry of Education 2018). All public teachers are required to be members of the Ontario Teacher’s Federation (OTF) and one of four affiliate organizations depending on the system in which they are working: L’Association des enseignates et des enseignants franco-ontariens (AEFO), The Elementary Teachers’ Federation of Ontario (ETFO), The Ontario English Catholic Teachers’ Association (OECTA), and The Ontario Secondary School Teachers’ Federation (OSSTF). These organizations represent teachers’ voice in educational policy and negotiate working conditions and terms of employment between teachers, the province’s 72 school boards, and government. Ontario is recognized internationally as a high-performing educational jurisdiction (Hargreaves and Shirley 2012), in large part due to its strong performance on the OECD’s Programme for International Student Achievement (PISA) (OECD 2010a, b). Although a slight decline in math scores since the year 2000 has concerned policy makers, in 2015 Ontario had a strong showing in both reading and science, alongside stable results in math (EQAO 2016). Ontario is also one of the few jurisdictions where there is little to no difference in the PISA results of native-born and non-native-born Canadians. This is particularly significant given the large number of immigrants that call Ontario home. Data for this paper were collected as part of a larger, multi-phased international study across five jurisdictions (Singapore, Finland, Australia, China, and Canada, Darling-Hammond et al. 2017). In Ontario, the research comprised an extensive document analysis that included education policy documents and descriptions of curriculum, instruction, and professional development practices and programs in primary, secondary, and higher education institutions. Quantitative data sources consulted included the PISA and Teaching and Learning International Survey (TALIS) reports from 2013 assessments, OECD country profile documents, surveys conducted by teacher federations and other professional bodies, as well as data for indicators of student success and educational funding provided by the Ministry of Education. In Ontario, two interview phases were conducted in 2014, beginning with policymakers and education experts. This was followed by interviews with school district administrators, principals, teachers, teacher educators, and other education practitioners. In total, 35 key respondents were interviewed: six teachers; five school administrators; two representatives from faculties of education; three representatives from teacher federations; one representative from the Ontario College of Teachers; and four groups interviews with senior-level officials and staff from the Ministry of Education (18 participants in total). Interviews were audio-recorded and transcribed for analysis. Interview data were supplemented with field observations, which were conducted in two schools and one school district PL center. These schools were selected as one provided an opportunity to observe one of our teacher interviewee’s teaching and the second was the site of a PL event for teachers including visits to classrooms to observe teaching practices. In contrast, we also observed a PL event for teachers across a school district. It would have been preferable to engage in additional field research; however, given the time frame of the study, subsequent visits to sites were not possible. While this is identified as a limitation of methodology, it should also be noted that the lead researcher has been engaged in several research studies of related phenomenon in Ontario education for over a decade, including teacher professional learning initiatives and larger system reforms. In Campbell et al. (2017c), we outlined a comprehensive analysis of the policies and practices that enhance teacher quality and support teacher development in Ontario. In this paper, we specifically focus on the data pertaining to professional learning, with a particular focus on the importance of partnership and collaborative policy making approaches in building a comprehensive, whole-systems approach to teacher learning. This paper explores three dimensions of Ontario’s approach to developing systems of effective PL through a whole system reform approach. First, a theory of action with a focus on large-scale change informed the provinces strategies from 2005 to 2014. Second, new partnerships and policies were developed to support teachers’ PL. Third, a variety of approaches to PL were developed and delivered by key organizations at each level of the system: government, teachers’ federations, school districts, and schools. Three goals have informed Ontario’s educational improvements from 2005 to 2014: increasing student achievement; reducing gaps in performance; and increasing public confidence in publicly funded education. All actions were intended to be aligned with the core goals outlined above and have involved coordinated attention at provincial, school district, school, and classroom levels. A central feature was an emphasis on developing professional partnerships, trust, and respect between all provincial stakeholders. Capacity building with a focus on results was a key element. This involved the development of educators’ knowledge, skills, and practices with a particular focus on instructional improvements to support students’ learning and achievements. Emphasis was placed on developing professional capacity and leadership throughout the education system. A combination of professional knowledge, sharing of promising practices, plus the use of data and research locally and internationally combined to inform strategies and actions. The government did not label “failing” schools or require firing of staff or takeover models. Rather, where underperformance in student achievement was identified, there was a need to develop the “will and skill” of educators to improve programs and instructional practices, plus supporting conditions, to enable students to learn (See Campbell 2015; Campbell et al. 2017b; Fullan 2010; Glaze et al. 2013). Creating an enabling policy environment and partnerships with the profession, stakeholders, and public. With a priority focus on student achievement, measurable gains in provincial results were demonstrated. From a starting point in 2002–2003 of 54% of elementary students achieving or exceeding the provincial standard in reading, writing, and mathematics, 72% of student met or exceeded the provincial standard in 2013–2014. Based on analyses of students who graduate from Ontario publicly funded schools within 5 years, Ontario’s graduation rate increased from 68% of students in 2003–2004 to 83% in 2012–2013. One of the first actions of the newly elected government in 2003 was to form the Education Partnership Table, engaging representative from all educational stakeholders in dialogue around the future of education in Ontario. In 2005, the Working Table on Teacher Development was established to provide recommendations on teacher policies, which had been heavily top-down in nature under the previous government. The membership of the Working Table comprised a wide range of provincial stakeholder organizations, including the OTF and all four of its teacher union affiliates. Five characteristics were recommended for the design and provision of PL for Ontario’s teachers: coherence across systems, attention to adult learning styles, goal-oriented, sustainable, and evidence-informed (for a more fulsome report of these characteristics, please see Campbell et al. 2017c). The Working Table concluded that there should be no one-size fits all approach to PL in recognition of the variety of needs, experiences, interests, contexts, and career stages of teachers and the variety of their students, classrooms, and practices. The result has been the creation of a comprehensive system of PL for beginning and experienced teachers that includes system-wide, targeted, differentiated, and teacher-led collaborative PL opportunities, working in combination at both local and provincial levels. We examine some of these opportunities and the supports that sustain them below. In this section, we highlight findings from two specific PL strategies funded by the Ministry of Education. All first-year teachers hired to a permanent contract in Ontario participate in the New Teacher Induction Program (NTIP). Established in 2006, NTIP is intended to provide comprehensive support in terms of early professional development to new teachers and includes three components: (1) an orientation to the school and school board; (2) ongoing mentoring by more experienced teachers throughout the first year; and (3) professional development and training appropriate to the needs of new teachers. Mentors and other experienced teachers involved in the NTIP received positive evaluations from participating new teachers. The majority (90%) of new teachers rated the support they received for practical day-to-day teaching responsibilities as “very helpful” or “helpful” (Ontario College of Teachers 2012, p. 36). We think of building a mentoring web. It can be one to one, but it could also be online, it could be a group, it could be a community of practice, it could be informal. Mentorship can be customized based on a person’s individual needs. To me it’s the ultimate personalization of learning. When the mentor and the new teacher meet, the agenda for the learning are the needs of the new teacher. And that’s really powerful. (Jim Strachan, Teaching Policy and Standards Branch, as cited in Campbell et al. 2017c, p. 158). In the chaos of getting all your planners and stuff in the half an hour before the kids come in…I remember him sitting beside me and saying, “I know you are terrified, but it actually doesn’t get any easier, whether that makes it better or worse.” And it did make it better for me. I felt that I wasn’t out on my own. (Heather, as cited in Campbell et al. 2017c, p. 159). I was given six [release time days] and it was my option to share three of those with my mentor so that we could do professional development together… I didn’t have to, but I thought it was kind of courteous to do so… We talked about teaching and planning and some off-the-record types of advice like what the best ways of doing things were inside the classroom. She was very willing to share, very giving and she provided a lot for me so that made everything worthwhile. (Wahid, as cited in Campbell et al. 2017c, p. 159). Those in our study who had volunteered to be NTIP mentors also spoke very highly of their experiences. Overall a positive benefit of NTIP appears to be the cultivation of both future teachers to support students and teacher leaders to support other teachers. This is consistent with the emphasis on shared leadership as part of the approach to develop large-scale change across the education system. Launched in 2005, the Literacy and Numeracy Strategy has focused on building the capacity of teachers to support student success through improved instructional capacity and practices. Early strategies included large-scale provincial training on literacy, numeracy, differentiated instruction, and assessment through summer programs for teachers and provincial events for school and school district leaders. Feedback from these events was very positive; however, participants also indicated a desire for less province-wide events requiring teachers and administrators to attend centralized training, and an interest in access to on-demand resources linked to evidence of effective practices and supports for job-embedded collaborative learning opportunities within and across classrooms, schools, and districts (see Campbell and The Literacy and Numeracy Secretariat 2008; Glaze and Campbell 2007). I think that one of the things that the Literacy and Numeracy Secretariat has demonstrated is change. So we started off with a dissemination model of professional learning… Then we shifted and revised and evolved our ideas about most effective approaches to change through professional learning. Now we are implementing change through a variety of different initiatives that support collaborative inquiry. …They provide different entry points for professional learning through collaborative inquiry founded on the idea of forming a question based on individual student needs and working toward finding ways of supporting that. (Judi Kokis, Literacy and Numeracy Secretariat, Ontario Ministry of Education, as cited in Campbell et al. 2017c, p. 170). The emphasis of the inquiry groups was not on standardization of top-down directives rather change was viewed to come through collaborative working and joint responsibility for improvement. Aligning with the ideals of whole system reform, the aim was shared leadership and ownership for system and school improvement. We are very proud of our role in providing our members with good quality professional development. I think the most critical thing that we believe about professional development for teachers and everyone in education is that it should be self driven. There are some good initiatives that the Ministry brings on that requires some training and some PD opportunities to enhance the quality of their role as a teacher in a school, but for the most part, we believe very strongly that professional development should be something that people self select. (Suzette Clark, OSSTF, as cited in Campbell et al. 2017c, p. 172-73). As we recently documented in our pan-Canadian work on teacher organizations as supporters of high-quality professional learning, the focus on teacher choice is a critical aspect of federation sponsored PL in every jurisdiction in Canada (Osmond-Johnson, Campbell, and Faubert, 2018). Owing to the teacher-led nature of the PL, participation in federation sponsored PL is often robust. For instance, over 3000 teachers participated in OTF summer programs in 2014, where choices included several provincial priority topics including mathematics, technology, and mental health, alongside a host of other self-directed opportunities. Additional federation-sponsored PL includes local conferences, advanced qualification courses for enhanced certification, and union leadership schools. Participation is bolstered by monetary support from the federations for release time, travel, and accommodations, typically funded from revenue from member dues. The Ministry of Education also provides funding to teacher federations to support PL activities through collectively bargained professional learning funds. In many instances, the federation uses this funding as support for release time. As Susan Perry of OECTA commented, “that is a stand that we have taken for many, many years, that if teachers are doing PL, if there’s an expectation that they do it, then they are provided with release time in order to do that” (as cited in Campbell et al. 2017c, p. 173). I think a particular style of professional learning that they find particularly valuable, the “by teachers, for teachers,” kind of approach. Like the TLLP being one example, but all the summer workshops, the conferences, the on-line learning, the various networked learning opportunities that exist, whether it’s within one of the affiliates or through other initiatives, the growth has been dramatic. (Rhonda Kimberley-Young, OTF, as cited in Campbell et al. 2017c, p. 173). Likewise, In a recent study of union-active teachers, for instance, interviewees spoke very highly of ETFO’s PL activities, identifying the experiences as “creating an awareness of the importance of critical reflection and inserting teacher voice into the larger policy arena” (Osmond-Johnson 2015, p. 106). The recognition of teacher expertise and the value of professionally-led PL is an integral component of ensuring large-scale change is also inclusive of, and co-led with, for and by, teachers. So the Teaching Policy and Standards Branch of the Ministry was smart to engage us in the base level thinking around what we would do around the TLLP and around teacher performance appraisal and around the new teacher induction program, and to share ownership with us on that, because if you don’t have that input or presence of the Federation at the beginning, you’re not going to get it after the fact, because you lose the ownership piece. So when it’s shared ownership, I think, you have a much greater sense of success. But I think the Federations really do go a long way to changing practice and again, if a government is smart, they will see that. (Lindy Amato, Ontario Teachers’ Federation, as cited in Campbell et al. 2017c, p. 174). Now entering its twelfth year, the TLLP supports experienced teachers (either on their own or as part of team) as they conduct self-selected school-based professional development projects that are broadly related to provincial goals. Proposed projects are submitted yearly to the school boards and a joint selections committee of Ministry and OTF representatives make the final funding decision. An average of 100 projects have been funded each year. One of us is co-leading longitudinal research investigating the TLLP (Campbell et al. 2013, 2014, 2015, 2016; Lieberman et al. 2017). In those studies, areas of improvements identified by participants included new knowledge, improved instructional practice, technology skills, assessment skills, teacher collaboration, professional dialogue, improved communication between teachers, self-reflection, research review and planning, and leadership capacity. With the requirement to share their learnings, the local- and system-level learning networks that have resulted from the program are particularly noteworthy. Many teachers have provided PL sessions at their own school, across schools and sometimes across their school district. Web sites have been devoted to projects, and other forms of communication have been used to share ideas including blogs, tweets, and social networks. Ontario’s public broadcaster, Television Ontario (TVO) has partnered with the TLLP to develop an online platform, TeachOntario, where teachers can share their practice, explore research, collaborate on new projects, and access resources to support knowledge mobilization with, for, and by teachers across Ontario. Overall the program has gained strength, credibility, and utility as it has served to show successfully that teachers, when given opportunities to drive their own PL, not only learn themselves, but they engage in the process of learning how to lead collaboratively with their peers and share what they have learned across the province to inform innovation and improvement on a larger scale. I have attended a number of workshops on the topic of reading and writing led by board personnel and authors who specialize in the field over the past year. This year my focus has been on Mathematics and the three-part lesson (Activation, Implementation, Consolidation). This has been a series of 6 workshops with neighbouring schools in grades 2-3 who have the same student-identified focus this year. Under the guidance of the school board math resource person, we explore, implement and discuss new strategies for effective teaching. (Cathy, as cited in Campbell et al. 2017c, p. 181). Our board implemented TLCPs, Teaching–Learning Critical Pathways, maybe five years ago now. So a group of teachers get together and look at a need that they see with the kids. They work together to develop a formal diagnostic. So if we say the kids need help with writing a paragraph, we’ll give them a diagnostic. You’ll do that in your class. I’ll do it in my class. We come back together, we moderate, and we mark the diagnostic to see where the kids are. It’s good because then teachers are also talking about how they mark, and we think about well, if this is where they are, what do they need? (Heather, as cited in Campbell et al. 2017c, p. 181). Through the school improvement team, I am able to examine school data with my colleagues on the team and determine a focus for the year(s) ahead. For example, last year the focus for the primary division was reading comprehension. We used the Daily 5 format (Boushey and Moser) and Text Structures writing program (Diane Dillabough) to enhance our teaching. Our principal guided our learning by providing us with the materials needed. Through biweekly divisional meetings, frequent grade-level meetings, and various board workshops, we were able to implement and discuss strategies for implementation regularly with our colleagues and offer support and suggestions for improvement. (Cathy, as cited in Campbell et al. 2017c, p. 182). School-based learning experiences like those described by Cathy provided participants with an opportunity to co-plan and co-teach with their colleagues an engage in collaborative reflection on practice. Opportunities for school and district supported PL, alongside provincial-wide initiatives and also opportunities for teacher self-directed and selected PL were all considered to be important. The Ontario strategy is perhaps the world’s leading example of professionally-driven system change. Through consistent application of centrally-driven pressure for higher results, combined with extensive capacity building, in a climate of relative trust and mutual respect, the Ontario system was able to achieve progress on key indicators, while maintaining labour peace and morale throughout the system (2010b, p. 75). However, the maintenance of “labor peace and morale” and the longer-term unsustainability of a strategy involving “consistent application of centrally driven pressure” were about to become problematic. During labor negotiations in 2012, the relationship between government and the teacher federations became more contentious when a legislated contract removed teachers’ right to strike, reduced sick benefits, and imposed a wage freeze. After a series of one-day strikes and work-to-rule action (Skorbach 2012), the government subsequently repealed the Bill (Government of Ontario 2014a), and, under a new Premier, formalized a two-tiered bargaining system where major financial issues were to be centrally bargained between the school boards, the provincial government, and the teacher unions, while local matters would be negotiated between individual boards and unions (Government of Ontario 2014b). The delineation between local and central issues proved to be unclear. Public elementary teacher instituted a province-wide work-to-rule campaign in May of 2015 which saw their members remove themselves from participating in Ministry/government initiatives, including school board-directed PL and other collaborative learning projects. By the middle of the 2015–2016 school year, provincial deals were reached and approved by the majority of members in all four teacher unions. Elements included enhancements to salaries, maintenance of specific working conditions (class sizes, preparation time), a commitment to revisit understandings of professionalism and teachers’ professional autonomy, and a hiatus on new Ministry initiatives for the current (2015–2016) school year. leverages exemplary practices through the communication and sharing of ideas to achieve a common vision (Ontario Ministry of Education 2016, p. 2). Regional sessions across Ontario involving teams of local district and school leaders and local union presidents are currently in process to discuss how to realize the vision for collaborative professionalism. In our subsequent research on teachers’ professional learning in Ontario, including a further case study as part of a study of professional learning across Canada (Campbell et al. 2017a), and our continuing research on Ontario’s TLLP (Campbell et al. 2013, 2014, 2015, 2016; Lieberman et al. 2017), teachers participating in a range of professional learning remain a key feature of the Ontario educational change strategies. Opportunities for self-selected and teacher-led professional learning continue to be highly important and highly valued. For example, 85% of ETFO members responding to a professional learning survey most valued face-to-face workshops with, by, and for teachers (ETFO 2015). In our latest case study research (Campbell et al. 2017a, b), opportunities for teacher voice and choice in professional learning were highly important with benefits identified from collaborative professional learning with peers, shared dialogue, and inquiry. At the same time, provincial professional learning continued to evolve to a model of teacher leadership and coaching, subject expertise, and collaborative learning in the Renewed Math Strategy. Overall, large-scale educational change requires both opportunities for self-directed, teacher-led individual and collaborative learning and for system-led professional learning on major education changes and strategies. Achieving Excellence: Children and students of all ages will achieve high levels of academic performance, acquire valuable skills, and demonstrate good citizenship. Educators will be supported in learning continuously and will be recognized as among the best in the world. Enhancing Public Confidence: Ontarians will continue to have confidence in a publicly funded education system that helps develop new generations of confident, capable, and caring citizens (Ontario Ministry of Education 2014). While the first phase of the Ontario whole system reform strategy had delivered needed improvements in student achievement; there were concerns about overly focusing on literacy and numeracy and about the need also to attend to the broader development of students’ well-being. Although gains had been made in “closing performance gaps” in terms of gender, English Language learners, and special educational needs, evidence pointed also to persisting and worrying inequities for First Nation, Métis and Inuit Students and racialized and minoritized students (Ontario Ministry of Education 2017). The Ministry is currently implementing a voluntary, self-identification program to facilitate the generation of more reliable evidence around the achievement gap between Indigenous and non-indigenous students. A renewed First Nation, Métis, and Inuit policy framework was released in 2016 to further address identified gaps. In 2017, an Equity Action Plan was established to identify and address systemic barriers and structural racism affecting Ontario’s students and communities. This is certainly an area of importance going forward. Education systems around the world are looking at evidence from each other’s strategies and results, international benchmarking and assessments, and research on how to achieve both excellence and equity on a large scale. Ontario has become recognized as a province that has been committed to whole system reform for large-scale change. Coming out of a period of hostile relations between a previous government and public sector employees including cuts to services and industrial action, a newly elected government made a priority commitment to education based on partnership and respect for all education professionals. An Education Partnership Table involving all key stakeholders was formed and, importantly, a Working Table on Teacher Development including teacher unions, other professional associations and the Ministry of Education worked together for over a decade to co-develop teacher policies with an emphasis on PL. Capacity building was considered to be the key element of the Ontario theory of action and for the range of PL developed and delivered. Importantly, this PL included provincial, school district, school, and teacher-led opportunities with an emphasis on collaboration and sharing to move from individual development to collaborative improvement to large-scale change across the education system. Such an approach is consistent with Hargreaves and Fullan’s (2012) concept of professional capital combining human capital (individual talent development such as the NTIP in Ontario), social capital (collaborative development through a host of collaborative learning opportunities), and decisional capital (through examples such as the TLLP to enable teacher-led PL). However, the Ontario evidence also offers the lesson that the strategies that bring about quick results in terms of student achievement results overall may not be the ones that lead to sustained co-owned large-scale change that is led with, by and for the education profession. A decade after the initial Ontario theory of action achieved mainly through Ministry-initiated strategies, the teaching profession indicated a need for a change in the way of working to genuinely value all voices, recognize, and engage leadership and practices at all levels of the system, and collaboratively work as professionals together. Further to this, persisting challenges for Ontario’s students concern structural and systemic inequities; this is complex work that will require a continued focus on collaborative professionalism and partnership across all levels of the system. Campbell, C., Lieberman, A., & Yashkina, A. (2013). The teacher learning and leadership program: Research project. Retrieved from: http://www.otffeo.on.ca/en/wp-content/uploads/sites/2/2013/09/tllp_full_report-.pdf. Campbell, C., Lieberman, A., & Yashkina, A., Carrier, N., Malik, S., & Sohn, J. (2014). The teacher learning and leadership program: Research report 2013–14. Retrieved from: http://www.otffeo.on.ca/en/wp-content/uploads/sites/2/2014/08/TLLP-Final-Report-April-2014.pdf. Campbell, C., & The Literacy and Numeracy Secretariat. (2008). Building capacity with a focus on results: The Literacy and Numeracy Strategy. Paper presented to the Canadian Society for the Study of Education. Retrieved from: http://www.edu.gov.on.ca/eng/research/buildingCapacity.pdf. EQAO. (2016). Programme for International Student Assessment (PISA), 2015: Highlights of Ontario student results. Retrieved from http://www.eqao.com/en/assessments/national-international-assessments/PISA/Communication%20Documents/PISA-highlights-ontario-results-2015.pdf. Glaze, A., & Campbell, C. (2007). Putting literacy and numeracy first: Using research and evaluation to support improved student achievement. Paper presented to the American Educational Research Association Annual Meeting. Retrieved from: http://www.edu.gov.on.ca/eng/research/litNumFirst.pdf. Government of Ontario. (2014a). Ontario to repeal Putting Students First Act. Retrieved from: http://news.ontario.ca/edu/en/2013/01/ontario-to-repeal-putting-students-first.html. Government of Ontario. (2014b). Ontario strengthening education sector for students: Improved collective bargaining process supports stronger, more stable schools. Retrieved from http://news.ontario.ca/edu/en/2014/04/ontario-strengthening-education-sector-for-students.html. Grenier, E. (2017). 21.9% of Canadians are immigrants, the highest share in 85 years: StatsCan. CBC News. Retrieved from http://www.cbc.ca/news/politics/census-2016-immigration-1.4368970. Literacy and Numeracy Secretariat. (2010). Collaborative teacher inquiry: New directions in professional practice. Retrieved from: http://www.edu.gov.on.ca/eng/literacynumeracy/inspire/research/CBS_Collaborative_Teacher_Inquiry.pdf. Ontario College of Teachers. (2012). Transition to teaching 2012: Teachers face tough entry-job hurdles in an increasingly crowded Ontario employment market. Retrieved from: http://www.oct.ca/-/media/PDF/Transition%20to%20Teaching%202012/T2T%20Main%20Report_EN_web_accessible0313.ashx. Ontario Ministry of Education. (2014). Education facts. Retrieved from: http://www.edu.gov.on.ca/eng/educationFacts.html. Ontario Ministry of Education. (2018). Education Facts. Retrieved from http://www.edu.gov.on.ca/eng/educationFacts.html. Osmond-Johnson, P. (2018). Research shows both innovation and challenges in teachers’ professional learning space in Canada. Perspectives Magazine, 27. Retrieved from http://perspectives.ctf-fce.ca/en/article/3155/. Skorbach, K. (2012). Ontario elementary school teachers begin one-day rotating strikes. The Epoch Times. http://www.theepochtimes.com/n2/canada/ontario-elementary-school-teachers-begin-one-day-rotating-strikes-322980.html.